Please enjoy these encouraging quotes by Oprah Winfrey. You just can't have it all at once. place for the next moment. I don't think you ever stop giving. It's being able to touch somebody's life. you have to begin with the spirit. think it's a huge responsibility. Do the one thing you think you cannot do. Do better the second time. ability to concentrate on other things that really matter. not only in your own life, but in other people's lives. I have a lot of things to prove to myself. One is that I can live my life fearlessly. it was like roots, like the motherland. I knew I belonged here. can change his future by merely changing his attitude. I am a woman in process. I'm just trying like everybody else. and not be paid for it. knowing that nobody's going to know whether you did it or not. on a carpet for my front porch. The thing you fear most has no power. Your fear of it is what has the power. Facing the truth really will set you free. or how much power you have. 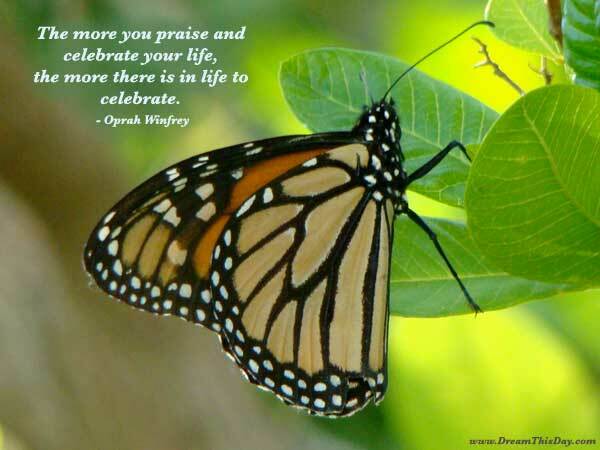 Thank you for visiting: Oprah Winfrey Quotes.